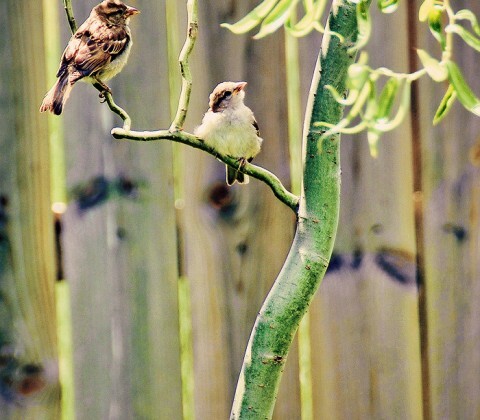 House Sparrows have lived around humans for centuries. Look for them on city streets, taking handouts in parks and zoos, or cheeping from a perch on roof or trees in your yard. 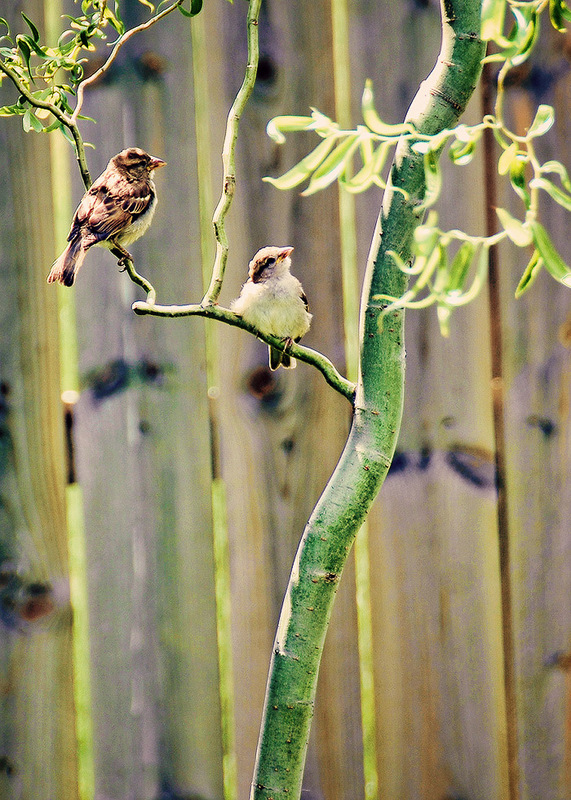 House Sparrows aren’t related to other North American sparrows, and they are differently shaped. House Sparrows are chunkier, fuller in the chest, with a larger, rounded head, shorter tail, and stouter bill than most American sparrows. This adult female has been feeding her young right outside the window of our 2 year old, much to her delight.